Twelve years of marriage, 4,000 square feet of dream house, and a handsome husband. Jessie Stanton has it all. until one fateful afternoon when she notices her BMW bouncing by the window behind a tow truck. Her husband has gone, and he's taken it all. The whirling tornado that cuts down the life she's built drops Jessie onto the sandy beach of Malibu with a thud, penniless and alone. 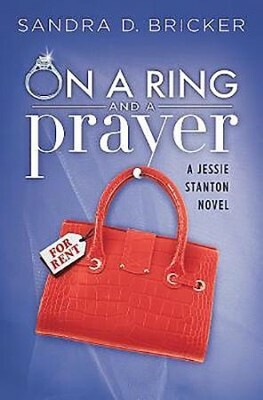 When all she's left with are the designer labels in her closet and the dreamy Neil Lane rock on her finger, Jessie tries to make ends meet by pawning her prized ring to fund a new business venture: a small shop where her designer duds and shimmering accessories are temporarily leased out to Southern California women with champagne tastes but root beer realities. As Jessie tries to rebuild, she realizes she can't move on, not without answers. 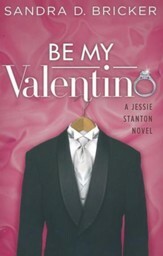 Reluctantly, Jessie turns to beach bum/private investigator Danny Callahan for help. But is she staking her future success and happiness.on a ring and a prayer? Twelve years of marriage, 4,000 square feet of dream house, and a handsome husband. Jessie Stanton has it all&hellip; until one fateful afternoon when she notices her BMW bouncing by the window behind a tow truck. Her husband has gone, and hes taken it all. The whirling tornado that cuts down the life shes built drops Jessie onto the sandy beach of Malibu with a thud, penniless and alone. 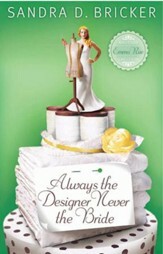 When all shes left with are the designer labels in her closet and the dreamy Neil Lane rock on her finger, Jessie tries to make ends meet by pawning her prized ring to fund a new business venture: a small shop where her designer duds and shimmering accessories are temporarily leased out to Southern California women with champagne tastes but root beer realities. As Jessie tries to rebuild, she realizes she cant move on, not without answers. Reluctantly, Jessie turns to beach bum/private investigator Danny Callahan for help. But is she staking her future success and happiness&hellip;on a ring and a prayer? Sandra D. Bricker was an entertainment publicist in Los Angeles for more than 15 years, where she attended school to learn screenwriting and eventually taught the craft for several semesters. 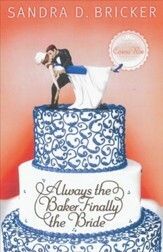 She is now a best-selling, award-winning author of Live-Out-Loud Fiction for the inspirational market, best known for her Emma Rae Creation series. As an ovarian cancer survivor, she gears time and effort toward raising awareness and funds for research, diagnostics, and a cure. Sandra resides in Toledo, Ohio, and online at SandraDBricker.com. 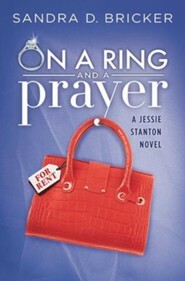 I'm the author/artist and I want to review #1: On a Ring and a Prayer.